a) Rajshree Polypack Limited has more than a decade of experience in operating in the plastic packing products industry. b) They are one of the leaders in manufacturing of Rigid plastic sheets and Thermoformed packaging products to the industry segment. c) They are continuously strengthening themselves in the field of rigid and semi-rigid plastic sheets and plastic packaging products. 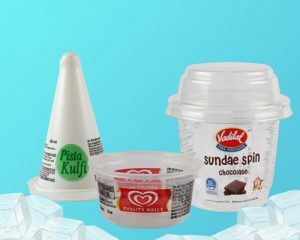 a) The products range from yogurt & ice cream containers, food packing, QSRs, coffee cups, bakery products and confectioneries, beverage cups & containers, generic bowls, punnets & trays for fruits and vegetable packing, lids etc. b) They have a wide range of sizes and designs to meet the customers’ need. (ii) Their manufacturing facility at Factory Unit – II at Daman has been equipped with the state of the art machinery. In the year 2004-05, they were one of the early ones to introduce 6-color printing in dry offset technology in the Indian market. 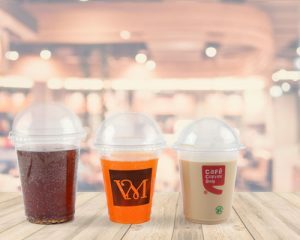 In the year 2008-09, they introduced alternate decoration technology of shrink sleeving on cups and containers which has grown extensively since then. Source: MoneyControl and RHP Note: 1. The Financials as of March 2018 is taken for comparison. 2. The Current Market Price of Shares is taken as on 31.08.2018. What is gmp ? How much listing gain expected ? Powerful subsciption.. should be followed by a good listing! Please raise your hand if anybody is applying. We will take the decision accordingly. hi. what about the plastic ban ? apart from Maharashra, Tamil nadu, Bihar, U.P. all have started to implement this ban very strictly. polyethylene and polypropylene both are on the hit list. are you still applying ? a) The Revenue is growing at CAGR of 30% from FY14 to FY18 [Excellent Growth]. b) The PAT is growing at CAGR of 134% from FY15 to FY18 [Excellent Growth]. g) Mcap/Sales(ideally <2)= 1.214 on FY18 sales [Reasonable priced]. h) EV/EBITDA(ideally <10)= 7.12 [Reasonable priced]. Founder Sunil Singhania is ex CIO Reliance Mutual Fund. Swiss Partner Wifag Polytype Holding AG presently holds 26.91% and post issue holding will reduce to 19.82%. Wifag is very well-known and pioneers in Poly Printing. Inspite of getting a chance for exit through IPO they did not sell their stake. This shows the creditworthiness and trust towards the Company and their Promoters. any sub 2 in msrket ? Abakkus fund has bought 8,33,000 shares in anchor portion. (i) Rigid packaging player with expertise in extruded sheets and technoformed products. (ii) Top clients include Ferrero (kinder joy – all 3 manufacturers worldwide), Tata Norishco, epigamia, Amul. 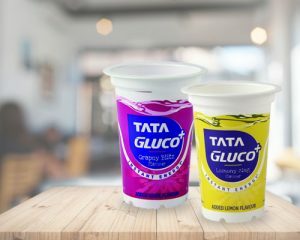 50-55% of revenue comthe es from dairy sector for products like curd, lassi Product is half the cost of tetra pack. (iii) Management claims to not have many competitors (feedback from client and packaging player is that his quality is good and some high micron products are only manufactured by them). Griener and Mappet are local competitors. (iv) Competition are more from imports (China, US). There is an import duty of 10%. (i) The state of Maharashtra has on March 23, 2018 notified the Maharashtra Plastic and Thermocol Products (Manufacture, Usage, Sale, Transport, Handling and Storage) Notification, 2018, under which certain plastic products were banned from being manufactured and distributed in the state of Maharashtra. (ii) During the Fiscals 2018, 2017 and 2016 the contribution to the net revenue from operations of the Company from the sale of restricted products distributed in the state of Maharashtra was 2.31%, 2.88%, and 1.61% respectively. This is a portfolio stock. Considering pre ipo placement done at same price gives confidence to apply . It looks apply for long term. Anyone looking for listing gain only go for it if the subscriptiontion is good. 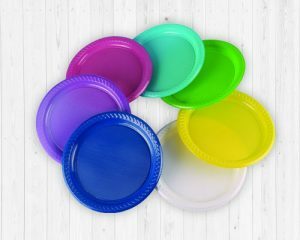 The Company makes Thermoformed products used in packaging sodas, water, juices, salad dressings, cooking oil, peanut butter, shampoo, liquid hand soap, mouthwash, pharmaceuticals, even tennis balls from PP. PET and HIPS sheets. Let us see their features and advantages. (i) It has established itself as the most important packaging material next to polystyrene. 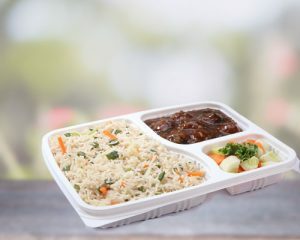 (ii) The outstanding characteristics of PP are its high resistance to fat and oil which is why it is the preferred packaging material for dairy. Its imperviousness to water vapor &its excellent frost resistance is a useful benefit especially welcomed for frozen food packaging. It is currently the thermoplastic material most in demand in the thermoforming synthetic packaging market. Its outstanding attributes are its excellent transparency equal to that of glass and its brilliancy an additional advantage is its high mechanical strength allowing the production of dimensionally stable rigid packaging with relatively small wall thicknesses and it’s excellent oxygen barrier qualities which makes it suitable for fresh foodstuffs. 10. Nestle and many more. The company has done preferential allotment of 2,97,939 no. of shares in Pre-IPO placements at Rs.120 on 6th August 2018. (i) Sunita Nirmal Chamaria (41,000 Equity Shares). (ii) Niraj Nirmalkumar Chamaria (1,25,000 Equity Shares). (iii) Kennis Consultancy Private Limited (25,000 Equity Shares). (iv) 3i Wealth Advisors LLP (20,000 Equity Shares). (v) Abakkus Growth Fund – 1 (86,939 Equity Shares). (i) Abakkus Asset Management, founded by former Reliance Capital global head of equities Sunil Singhania, has launched its first offering Abakkus Growth Fund and is looking to raise Rs 1,000-1,200 crore from rich investors. (ii) Abakkus is an India-focused asset management company Singhania established this year. Abakkus Growth Fund is registered with the Securities and Exchange Board of India as a category-3 AIF and will be long-only in nature, referring to a policy of buying and holding assets and securities. Conclusion- The company is Debt free.